When certain mysterious events involving books occur, it seems that Inspector Dejan Lukić is always the man for the job. This time, however, things are a little different. Inspector Lukić himself is at the heart of the mystery, lured by the appearance of a number of packages addressed to him in person and left at several highly unlikely locations. The contents of these packages – a set of books known as The Compendium of the Dead – a series of bizarre disappearances and a succession of strange encounters keep the baffled Inspector on his toes right up until the extraordinary dénouement, in which the finality of death itself is challenged. 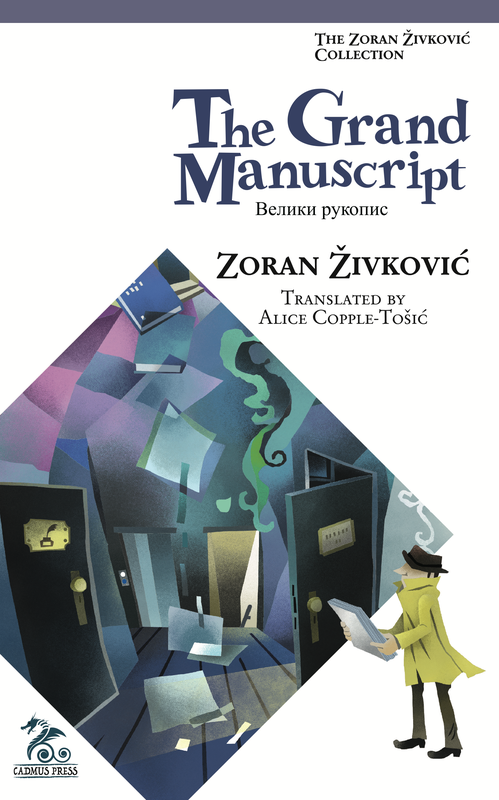 In this, the final part of the trilogy that began with The Last Book and The Grand Manuscript, Zoran Živković demonstrates beyond contradiction the magical and ultimately benevolent power of literature. Included in The Papyrus Trilogy. This third variation on powerful books (and the power behind them) allows Živković to bring the trilogy almost full-circle, and tie up some loose ends in setting everything right — the havoc that a writer wreaks put back in order. It’s a decent, clever idea, and certainly makes for an agreeable conclusion. … The Papyrus Trilogy forms a nicely rounded whole. It begins with him being called to a writer’s apartment by her desperate literary agent, who fears the worst. At the writer’s apartment they find the door locked—from the inside—but no one answering. Lukić inexplicably finds no trace of the author—a classic locked-door mystery. … Appearances—and their absence (such the pseudonymous missing author)—are nicely constantly deceiving here, making for an enjoyable enough read. Once again Živković’s bookish world is fantastic. But then books can endow their characters with immortality, so maybe it’s not as fantastic as all that. Like the first book in the trilogy, this book can stand on its own, but it is inextricably connected to the first, and some of the philosophical fun will only be apparent to those who’ve read both. A series of mysterious deaths in the Papyrus Bookstore brings literature-loving police inspector Dejan Lukić to investigate. Here he meets the attractive owner, Vera Gavrilović, and learns that the only thing the victims have in common is that in the moments before their deaths they were reading an elusive and unidentified volume — The Last Book. As the plot thickens and the seemingly causeless deaths multiply, the National Security Agency, a secret apocalyptic sect and an exotic teashop become involved, while Dejan and Vera’s growing attachment is threatened by nightmares and ever-encroaching danger. Is a literary madman on the loose, murdering readers according to the method laid down in The Name of the Rose? In a final race against time, Inspector Lukić must discover the secret of The Last Book and the reason why he feels as though he has already read everything that is happening to him in a novel. The extraordinary denouement reveals hidden truths about the clash of realities and the awesome power of the creative imagination. The resolution shouldn’t surprise readers familiar with Živković’s work, but even those that are should find the anything-but-typical thriller denouement a nice twist. … Živković knows what he’s doing, and he does it well here. Serbian master fantasist Živković has written what may be the most delicious mystery by a speculative-fiction specialist since Stanislaw Lem’s mind-boggling The Investigation. Unlike Lem’s novel, it is also a discreet, witty love story. In The Ghostwriter, [the protagonist] is juggling email exchanges with five different people, some entirely anonymous, some known to him in different capacities. What the email exchanges share is exploration of the idea of writing under a pseudonym. … The back and forth between Felix and his pushy correspondents, with their different demands and suggestions, is quite amusing, and allows for an interesting exploration of the question of authorship and attribution. 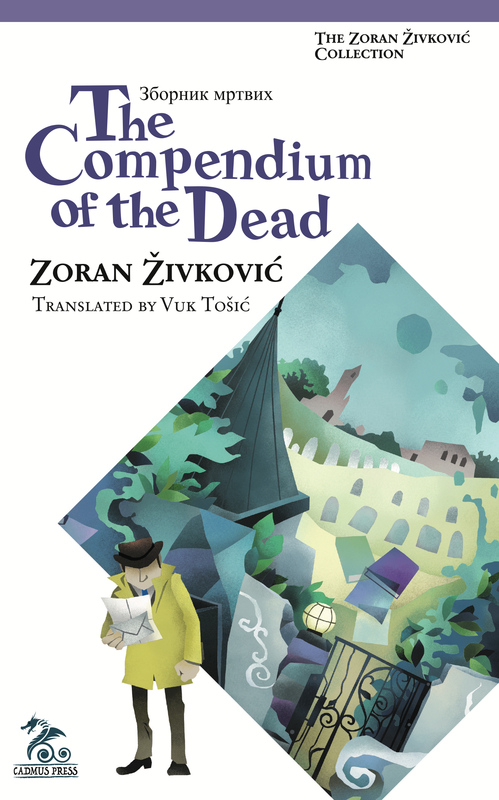 Admirably, too, the five very different variations on the theme are brought quite nicely together: as usual, Živković is very good with the final knot tying his stories together. The fact that you are reading a story about a science fiction writer written by a science fiction writer is the kind of metafictional “mind-game” the writer of The Writer likes to play. The depiction of an “unreality”—or, in many cases, multiple “unrealities”—raises complex questions about existence that do not lead to clear answers. As might be expected of a European academic trained in literary theory, Živković mingles postmodern flourishes—self-reflexivity, deconstructionist ruminations—with the materials of speculative fiction. Overall, he perhaps most strongly resembles Italo Calvino in the latter’s fantastic vein. Surrealism, incongruous introspection, teasing narrative geometries, and startling systems of hyperbolic wit shape and illuminate his yarns, lending them an Escheresque elegance… a surrealist tour de force. Ebook available from Amazon Kindle. Once again Zivkovic demonstrates the sheer power of storytelling in this complex cycle of interlocking narratives. Like one of Escher’s drawings, the narrative threads lead one through a dizzying labyrinth of recurring themes, images and characters, all of whom are linked with elegant mathematical precision: God and suicide, food and poison, monks, athletes, soldiers and soccer players all take their places in the circle-dance. Absurdity, surreality and humor abound; death is the ultimate destiny, yet always the next story offers infinite ways of escape. …a delightful journey through the ‘degrees of separation’ that connect us together. It is a story without place and time, yet timeless in its message; and though the characters are nameless, they are at once universal in their appeal and intimately familiar due to their idiosyncrasies. 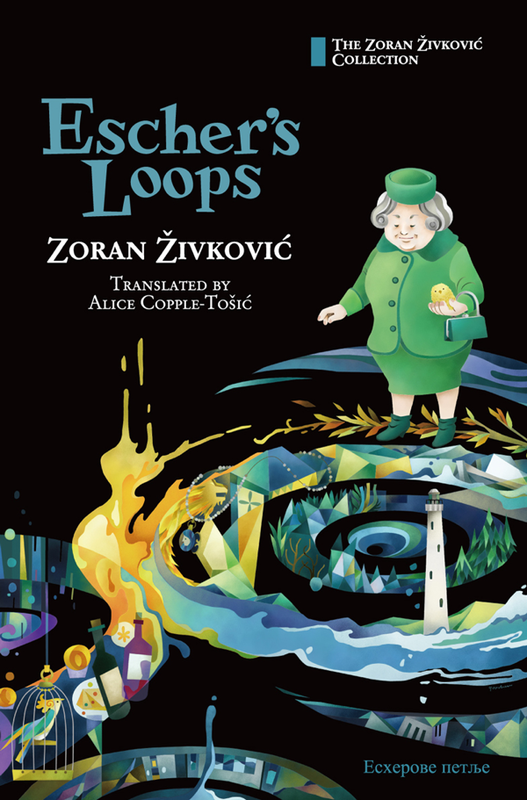 Escher’s Loops is a hard and honest look into one’s personal mirror. Ebook available for Amazon Kindle. This volume also contains the novella “The Square,” an uplifting meditation on the restorative power of Art. Also included in Impossible Stories II. This sequence of ten brief stories each deals with an aspect of memory. Naming each story after a novel was a rather neat trick, as it creates a kind of memory short-circuit in the mind of the reader, where part of the brain is trying to overlay the story with the plot of the original novel. The two have little in common, though, and the result is to unsettle the memory while you read stories of unsettled memories. .
…there’s usually a strange premise in each piece that tends to be minutely bizarre that makes it inconspicuously believable but definitely tickling one’s sense of wonder. What’s interesting with this suite is that each story features what seems to be a parallel-world Miss Tamara as the events of the preceding piece has no bearing on the next… until we read the culminating story “Fruit Salad” wherein Živković ties up the mosaic. Award-winning Serbian author Živković explores the concepts that make up the building blocks of literature, reading and writing. …eight interconnected vignettes focusing on how books, fruit and men play parts in the life of bibliophile Miss Tamara. 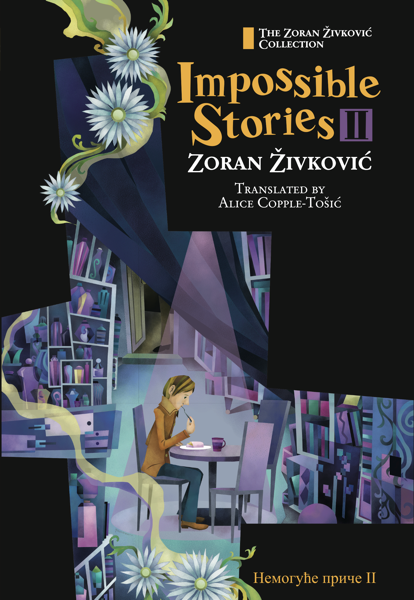 Zoran Živković’s second collection, bringing together a new set of fantastic, enthralling stories to delight you. Contains Four Stories Till the End, Twelve Collections, The Bridge, Amarcord, and Miss Tamara, the Reader. The stories are consistently humorous yet concerned with a fairly grave subject, the afterlife. Only Peter S. Beagle’s work dazzles like Zivkovic’s. 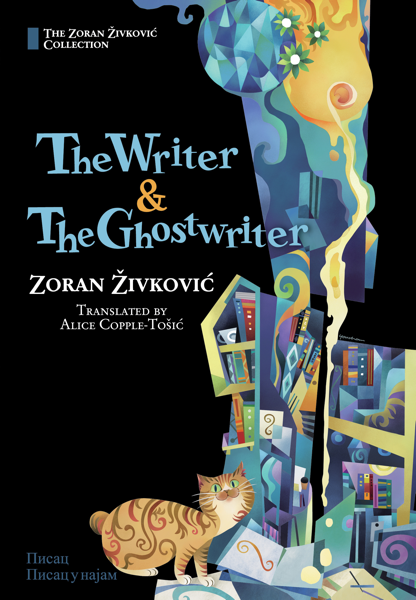 Zivkovic rarely hits a wrong note or has a false step in the course of telling these stories, illustrating perhaps that sometimes a well-told tale just might still be one of the most effective ways of communication around. Now available as an e-book from major etailers including Amazon Kindle, Kobo, B&N Nook, and Apple iBook. What is the link between red hair, a red bowling ball and a red bikini? Between an overcoat with asymmetrical lapels, a scarf with two blotches and a pair of non-matching sneakers? 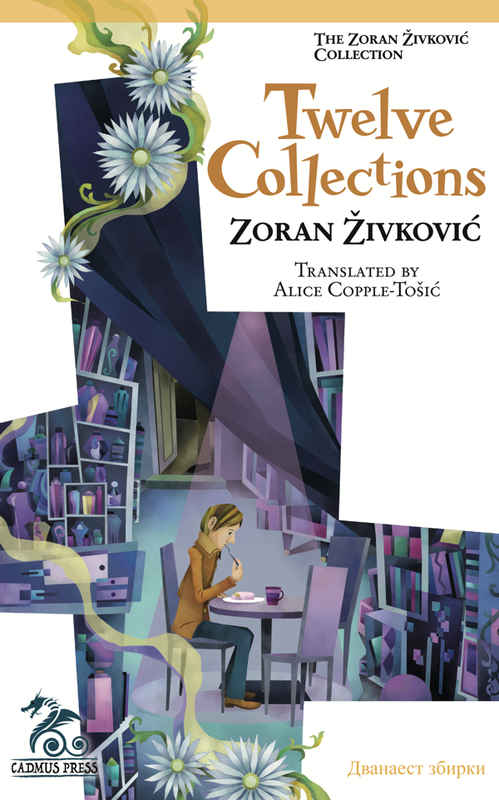 In this brainteasing trio of stories, Zoran Zivkovic explores the collision of realities: a man encounters an alternate self, a woman out on a shopping trip runs into her dead neighbor and a fourteen-year-old girl chases her seventeen-year-old future son across town. Through absurd predicament, surreal situations and hot pursuit, Zivkovic addresses deep and ultimately poignant questions of fate and chance, the vagaries of human character and the hidden potential which lies within us all. …an exercise in puzzlement. It is a series of three linked stories; each story having a beginning, a middle, and an end. The stories are individually and collectively surreal, with a sense of randomness that wanders between the profound and the comedic, the implausible and the impossible. …characters living on the extreme margins, whose bizarre and obsessive behaviour crystallises deep truths for us. 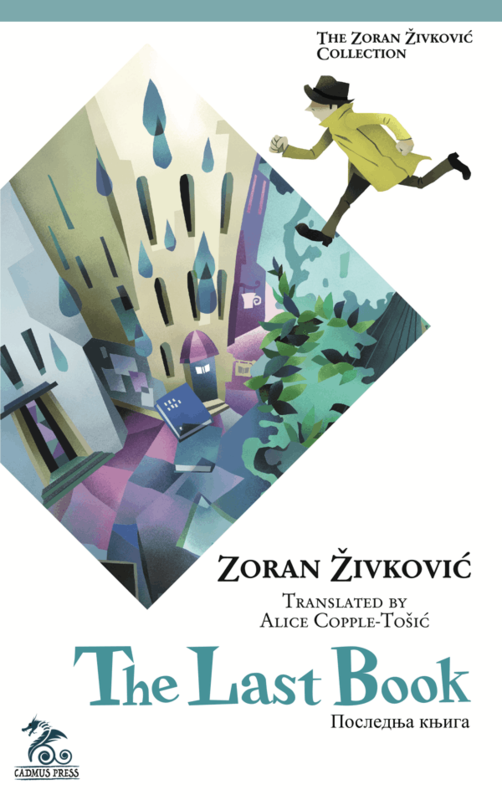 …each tale is a gem of ironic humour and, as always, Živković redeems everything at the eleventh hour with a climax of revelatory beauty. The short novella at the end of this collection, The Teashop, is a delightful bonus, a sort of distillation of the storytelling principle honed throughout the previous four books: endless storytelling as a form of redemption, even, for its protagonists, as a kind of immortality. …an amazing reading experience. …Each of these twelve stories comes together as a cohesive whole creating a wondrous and spectacular novella that will leave you breathless by the final tale. [The Teashop is] an inspiring tale that touches on the magic of storytelling and the far-reaching lines of fate’s web. …the perfect conclusion to a book filled with miracles and curiosities. The crystalline prose of suite and stand-alone alike makes the stories exquisite to read.